Firescale prevention on tool steel? Hi All. I am making some dies from O1 Tool steel drill rod. Is there an easy way to prevent firescale on steel. And if I do get scale, which pickle is easy and safest to use. The drill rod is 1" and I plan to use my modern Goss kp-117 propane torch, fire bricks and veg oil for the hardening. Thanks for the tip. I did try the commercial pripps and that did prevent most of the firescale. Not as good as using a tablespoon of borax like in the video but it worked. You don’t pickle steel; you just clean it with abrasives. There are any number of good and relatively inexpensive books on blacksmithing which will give you all the data, and guide you through all the techniques, you will need for heat treatment of steel tools. 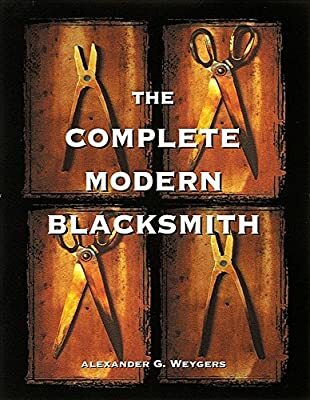 The Complete Modern Blacksmith is quite good. When I make steel belt buckles I immerse them in warmed white vinegar which strips off the black scale from the forged steel. Then I can re-blacken evenly. I suppose that you might consider this pickling. Thanks for the answers. I have read that in the production of steel they use hot sulfuric acid or hydrochloric acid at room temperature. On the project I just finished I used standard safety pickle for jewelers to get the boric acid and light scale to come off. I was using O1 steel and it seemed to oxidize a bit less than other steels I have used. I will try several of the safer options and report back when i do this job again.